This volume focuses on research and advancements in the field of agent-based technologies. Particular emphasis is given to agent-based technologies related to combat computer programs, internet security applications, general IT security platforms, platforms for military logistics and interoperability, e-commerce, and humanitarian aid coordination. The "Monitor" provides extensive list of research projects, systems, and software tools supporting the application multi-agent systems to defense and security. Editorial. "Agent-Based Technologies in Defense and Security." Information & Security: An International Journal 8 (2002): 5-14. Lin, Iuon-Chang, Hsia-Hung Ou, and Min-Shiang Hwang. "Two Secure Transportation Schemes for Mobile Agents." Information & Security: An International Journal 8 (2002): 87-97. Monitor, I&S. "Multi-agent systems: Selected reading." 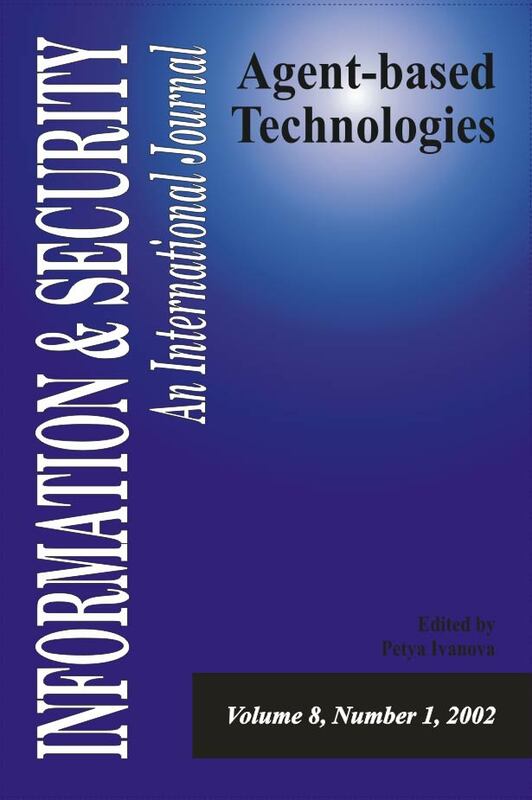 Information & Security: An International Journal 8, no. 1 (2002): 116-120. Monitor, ISIJ. "Multi-agent Systems research: General research - on-line resources." 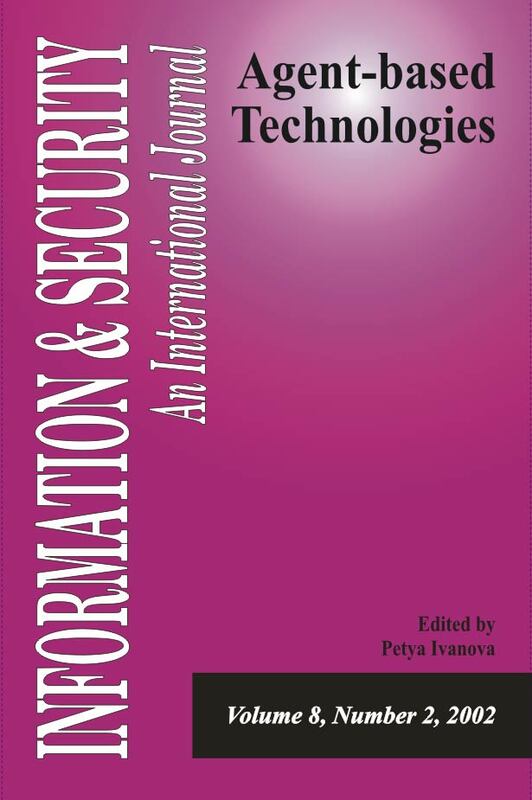 Information & Security: An International Journal 8, no. 1 (2002): 101-103. Monitor, ISIJ. "Multi-agent systems in defense and security: Research projects, systems, and software tools." Information & Security: An International Journal 8, no. 1 (2002): 104-115. Monitor, ISIJ. "E-Comerce Laboratory, Plovdiv University, Bulgaria." Information & Security: An International Journal 8, no. 2 (2002): 255-256.